The world’s fastest female riders return to Geelong for this coveted UCI 1.1 classification race. 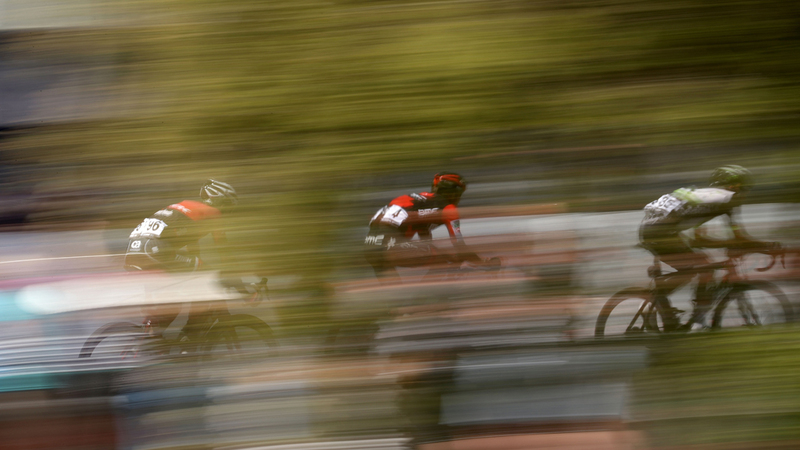 Get set for attacking and unpredictable racing – a hotly contested fixture on the UCI women’s road cycling calendar. 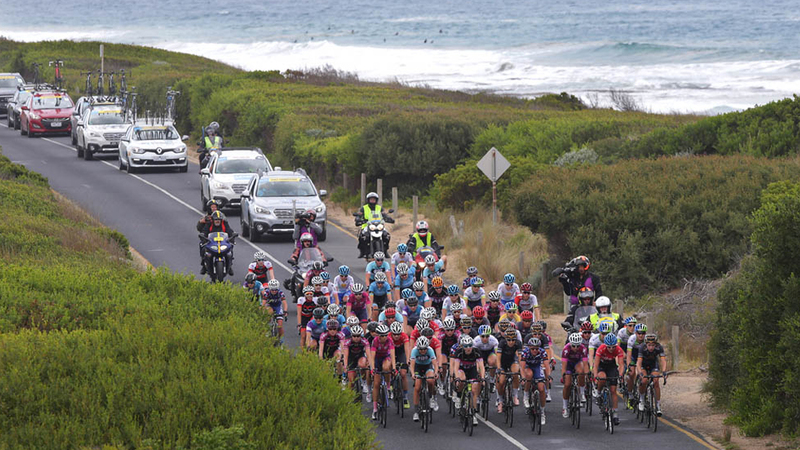 Passing through Cadel’s home town of Barwon Heads and onto Torquay, Bells Beach, Moriac and back into Geelong makes for an enthralling women’s one-day classic. 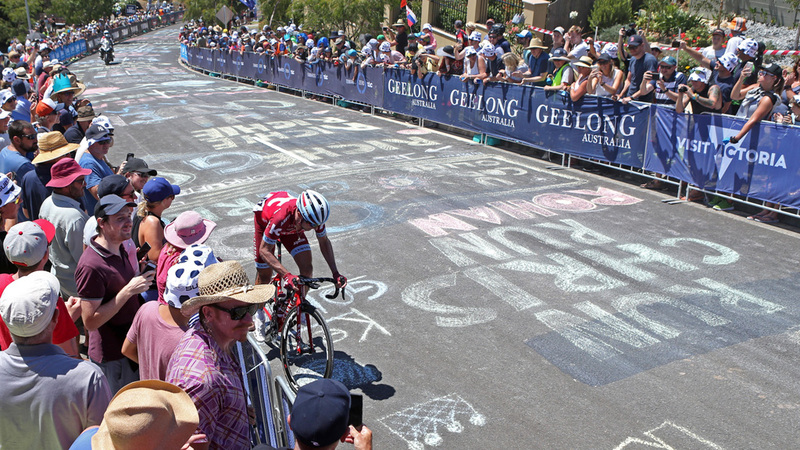 Riders take on the steep and technical Challambra Climb again in 2019, before the famous sprint finish into the Geelong waterfront start/finish precinct. Big crowds gather in Barwon Heads, the hometown of Cadel Evans, where the peloton flies down the main street, likely to be trying hard to establish an early breakaway in the race. 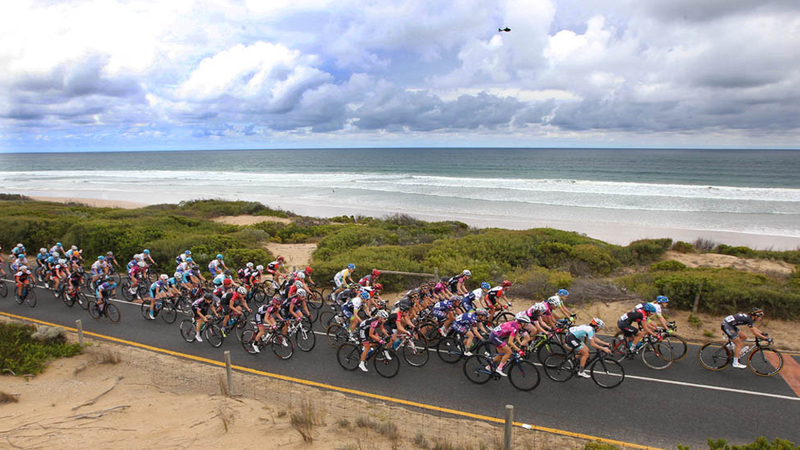 Travelling through Barwon Heads, the race then changes direction and hugs the coast at Thirteenth Beach – one of the most picturesque, but exposed sections of the course, where cyclists must navigate and position themselves against the local coastal winds for the first time. If it hasn’t already, directional changes on the roads behind Torquay provide the perfect opportunity for a breakaway to distance itself from the peloton as the race moves onto the Surf Coast. Then, a long straight stretch across the marshes of Blackgate Road, Breamlee, expose the riders to the elements, and wind again plays a factor in shaping the early action. Next, the race begins to close in on busy Torquay, a haven for locals and a much-loved escape for Melbournians and visitors from around the world. The many families, swimmers and surfers gathering around the busy beaches in Torquay will pause to watch the colourful peloton charge into the first intermediate sprint and gather at one of the spectator cheer sites. Through the main street and past the many cafes and restaurants, the race then finds itself on the famous Great Ocean Road. The approach into Geelong sparks the frantic final 15km with the Elite Women tackling the challenging and iconic Challambra Crescent climb. The course has a pinch as it climbs its way out of Queens Park and up the road of the same name. A left turn and a further pinch up Melville Avenue, the race then continues up Minerva Road, connecting through to Church Street. 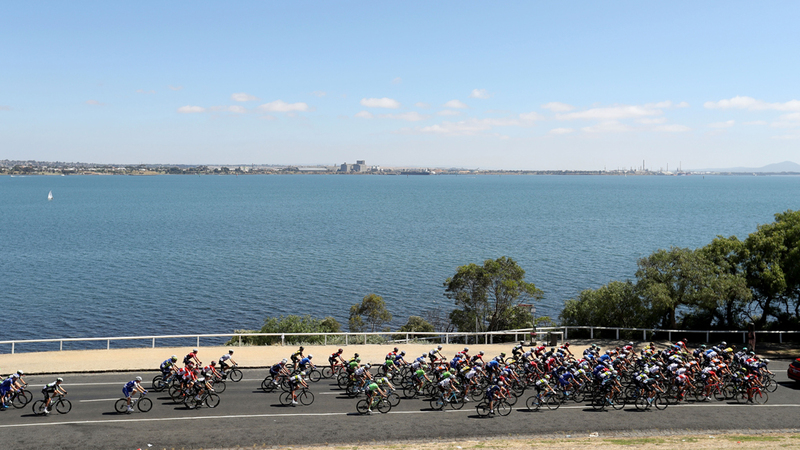 The race travels through residential Geelong, past the Victorian houses along Church Street, over the Highway and onto the Geelong waterfront to the finish. Back to where it all began, the finish – adjacent to Steampacket Gardens on Geelong’s Waterfront – is a fast one. Deakin University offers a personalised experience, enhanced by innovative digital engagement. The university leads by creating opportunities to live and work in a connected, evolving world. Deakin offers a learning experience second to none, and are proud of being a multi-award winning, internationally recognised university. With a history of being innovative and cutting edge, Deakin offers excellent facilities, exceptional teaching and flexible learning to all 60,000 students, whether on campus or online.